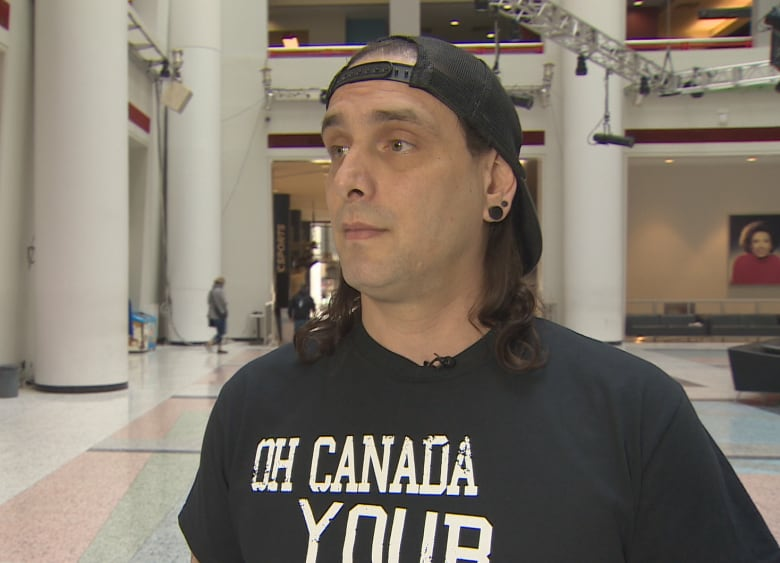 Outrage over a Toronto artist borrowing from the style of an acclaimed Indigenous painter has prompted a gallery to cancel its plans for an upcoming exhibit. 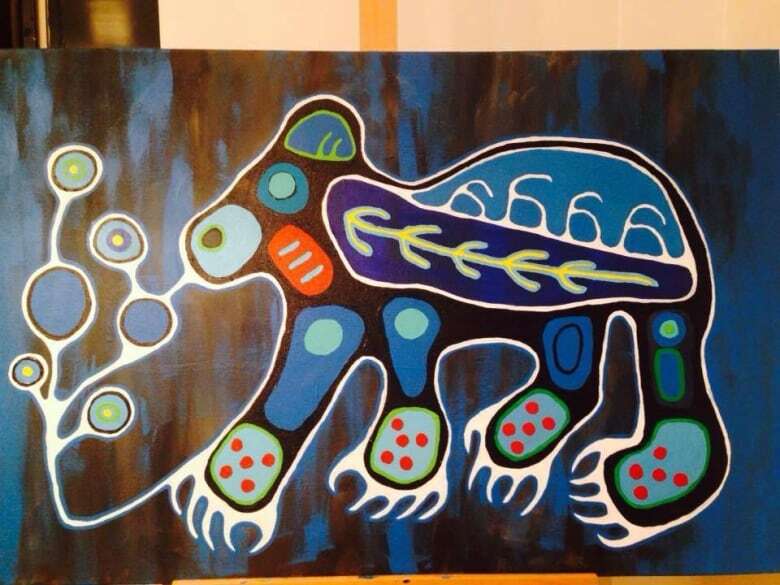 Visions Gallery had planned to showcase the work of Amanda PL, 29, a local non-Indigenous artist who says she was inspired by the Woodlands style made famous in the '60s by the Anishinabe artist Norval Morrisseau, who focussed on nature, animals, Indigenous spirituality and medicine. But within hours of the gallery's email announcement promoting the exhibit, there was a backlash, with people alleging that PL had appropriated Indigenous culture and art. Chippewa artist Jay Soule was among those leading the charge. He argues PL blatantly copied Morrisseau with virtually no regard for the storytelling behind his work. "What she's doing is essentially cultural genocide, because she's taking his stories and retelling them, which bastardizes it down the road. Other people will see her work and they'll lose the connection between the real stories that are attached to it," said Soule. PL said she first became inspired by the Woodlands style when she was living in Thunder Bay, Ont., studying to become a visual arts teacher and taking Native studies. "I just tried to learn all I could about the Aboriginal culture, their teachings, their stories, and I've tried to capture the beauty of the art style and make it my own by drawing upon elements of nature within Canada that have meaning to me," she told CBC Toronto in an interview Friday. She was surprised by the reaction when her exhibit was announced, especially online. "A lot of the Aboriginal people had issues with me not being native.… I feel like they think that I'm taking away from the culture, but really I'm not," PL said. "I think it's a shame to say that an artist can't create something because they're not from that race," she said. "That's like saying any other culture can't touch something like abstract art unless you're white, or you can't touch cubism art." PL said she's never intentionally led anyone to believe that she herself is Indigenous. "I always tell people that I'm a Canadian artist," she said. Visions Gallery co-owner Tony Magee acknowledged PL didn't misrepresent herself to him or his partner, artist Francisco Castro Lostalo, in their conversations ahead of the planned exhibit. Magee said it never came up, and he didn't think to ask whether she was Indigenous. "In retrospect, I wish that I had," he said in a phone interview Friday. It was only after the exhibit was announced on Monday that he learned PL was not Indigenous. The first thing they did in response, he said, was reply with an apology to every single individual who wrote with concerns, noting that they hadn't anticipated the issue. By Tuesday, they'd spoken to PL and offered her the chance to display another style of work, which she turned down. The gallery owners felt they had no choice but to cancel the exhibit. Magee said that in his own opinion there is no debate about appropriating from Indigenous people. "Yes it's tricky, cultural issues and borrowing from different cultures — everybody has an opinion. But everyone here in Canada has to be aware of the history of how Indigenous people have been dealt with from the time of colonial settlements, and there is a specific perspective that we have to have with respect to that culture," Magee said. His own work flips Indigenous stereotypes on their head in everything from sports teams to film — taking well-known movie posters and recasting them with titles like The Bride of Frankensioux and Tribe of Dracula. But Soule said borrowing from Indigenous people is a different case altogether. That's a point he sees reflected in the UN Declaration on the Rights of Indigenous Peoples, which affirms full protection over Indigenous Peoples' intellectual property — ranging from oral stories to artwork. "Our livelihood and our culture has been slammed down for over 150 years," said Soule. Asked if she would consider no longer painting in the Woodlands style after reactions like that of Soule's, PL said she will continue. "This just happens to be the style that I'm drawn towards at this time. This is how I choose to express myself and this is how I choose to continue to paint," PL said.